Trivium guitarist and vocalist Matt Heafy just recently dropped by Sam Ash Music in Orlando Florida. Here he did a Q&A along with signing and taking autographs with fans. Some of the topics discussed were John Petrucci's Rock Discipline, guitar and vocal warm up exercises, and Ron Anderson’s Voiktex app. 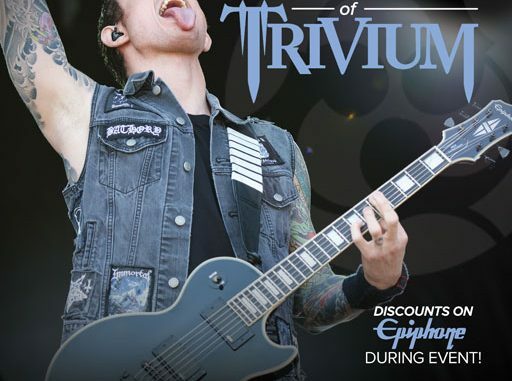 Checkout Triviums upcoming shows below. They are about to start their silence in the snow North American Tour with Sabaton and Huntress. 10/06 – Dallas, Texas @ Gas Monkey Live!